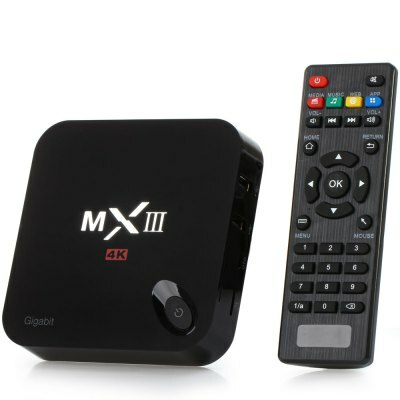 We’ve done a review of the original MXIII Android TV Box which is one of our more popular posts on HomeMediaTech. 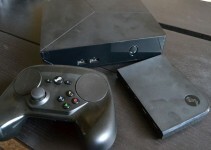 This review is going to cover the next iteration of that popular TV box. Visually not much has changed with the MXIII-G over the original. To be honest it’s literally the same case. Where all the new magic happens is under the hood. 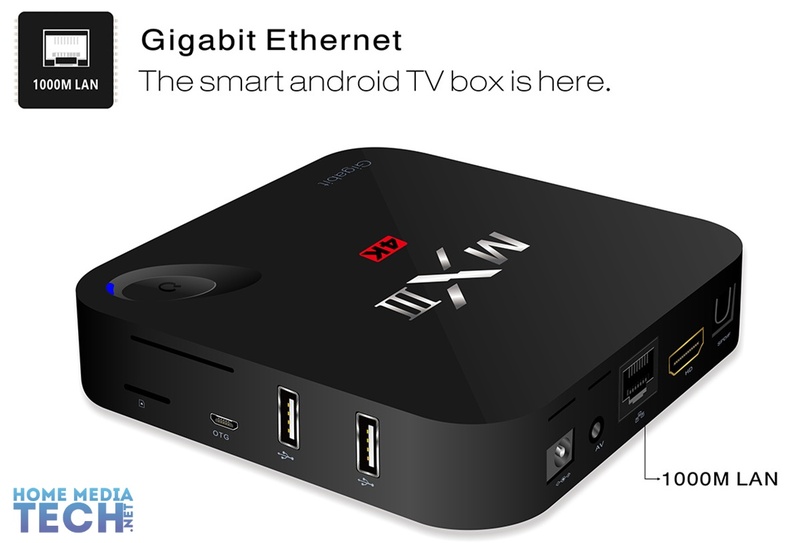 The MXIII-G comes equipped with the updated Android 5.1 Operating System, and the powerful Amlogic S812 quad core processor. 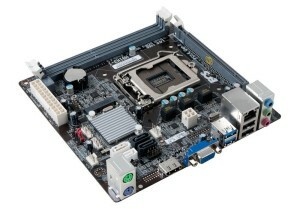 Taking care of the graphics duty is the ever so popular Mali-450 octo-core graphics processor. This pair will allow you to chug through virtually any application or game you throw at it. Sitting inside of the sleek black case is also 2GB of RAM and 8GB of eMMC Flash memory which is an upgrade over the previous model. This new flash memory is up to 3x faster than traditional NAND memory which is widely used today. There are also some additional improvements like the 1Gbit, or 1000Mbit port which is where the ‘G’ comes in on the name. 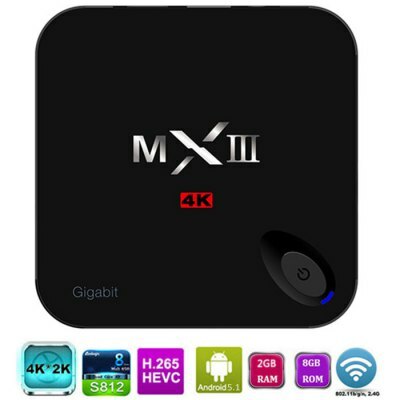 This will allow you to send higher bitrate files to the device, which may not have been possible on the previous models 100Mbit port. Another smart feature that was built into the design is a protective circuit. This neat bit of kit will allow your device to be run on sub-par power adapters or on a low quality power supply. This ensures your device is safe from being overloaded or shorted out. Many devices don’t have this included which really sets the MXIII-G apart from it’s competitors at this price point. 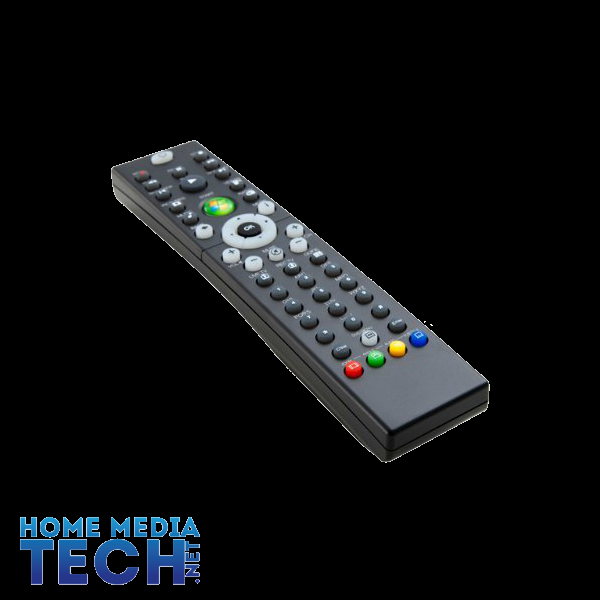 With the Amlogic S812 processor you will be able to enjoy H.265 HEVC encoded video files thanks to the hardware H.265 video decoder. The file format isn’t that popular right now but it is making headway with it’s high compression and low loss of quality for 4K files. 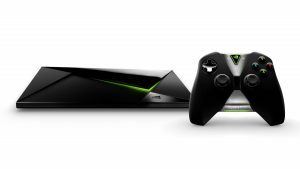 Speaking of 4K video, the MXIII-G is more than capable of outputting at 3840 x 2160 Ultra HD. This is a great way to future proof your audio video setup once 4K content becomes more mainstream. You can also connect Bluetooth devices over Bluetooth 4.0. 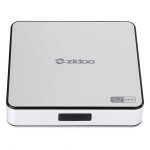 As for Wifi, it will connect to networks running on 802.11 a/b/g/n. 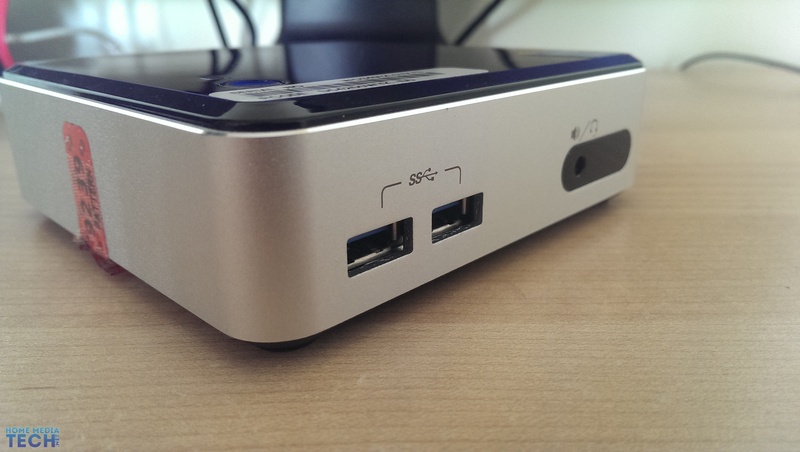 Along the side and back are the following ports: SPDIF, USB2.0, OTG (micro usb), HDMI, AV, RJ45, TF Slot. 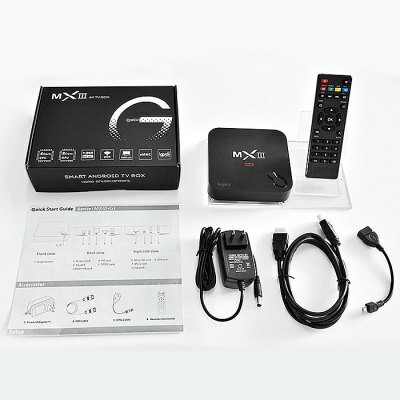 Included in the box is the MXIII-G, remote, power adapter, HDMI cable, OTG cable, and quick start guide.